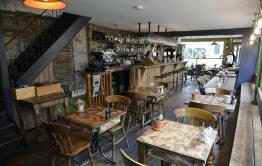 We’re delighted to be the new owners of The Jovial Sailor in the beautiful village of Ripley. We've had a major refurbishment inside and out and are now open for business! We're serving fantastic food all day every day and have a wide and varied menu, including our delicious Vegan Menu. 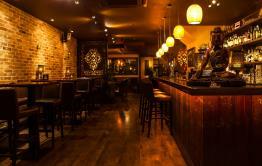 We offer something to suit all ages, from bar snacks and a pint to great Sunday Roasts. Our Dining Pods, large patio area and beautifully-kept gardens are perfect for alfresco dining. 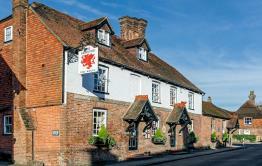 Situated close to the A3 and M25 and just minutes from RHS Wisley Gardens, The Jovial Sailor makes an ideal meeting place. Be the first to write a review and share your experience at The Jovial Sailor with other diners. Lovely evening and excellent food. 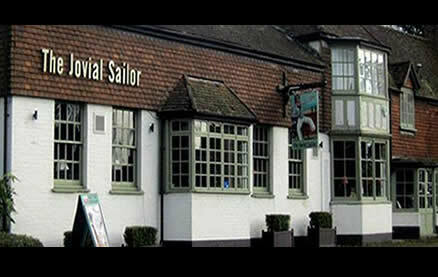 We have been several times and would definitely recommend the Jovial Sailor. My meal arrived very late (chef ignored my request for no dairy, which he liberally applied to decorate the lamb dish I ordered). Replacement provided within 10 minutes plus a free glass of wine. Food very good although I think a sit was called a curry the flavour could have been bolder/fuller. Other than that, good atmosphere and polite, frienldy service. Great food, Great service, Great Appearance. A lovely lunch with good friends. The menu is extensive and will suit all tastes. In addition to the usual daily menu there is a specials menu, a vegan menu and Sunday roast menu. As we dined on a Sunday, two of us had a roast, one the usual pub classic and one a vegetarian choice. Th only slight negative is that the meal could have been slightly warmer. But other than that we could not fault it. Service was good too.